Come learn popular dances done at Ceilis every wkend in the Metropolitan area! Irish-born, first generation, second generation, any generation. Love the culture, love the people, are a wannabe. 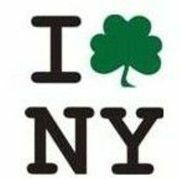 to hang out and enjoy each other's company and enjoy Irish and New York culture in all its glory.